Wow! Great photos last week everyone! There were some amazing birds and some great stories behind them. This week might see some of those photos back again. 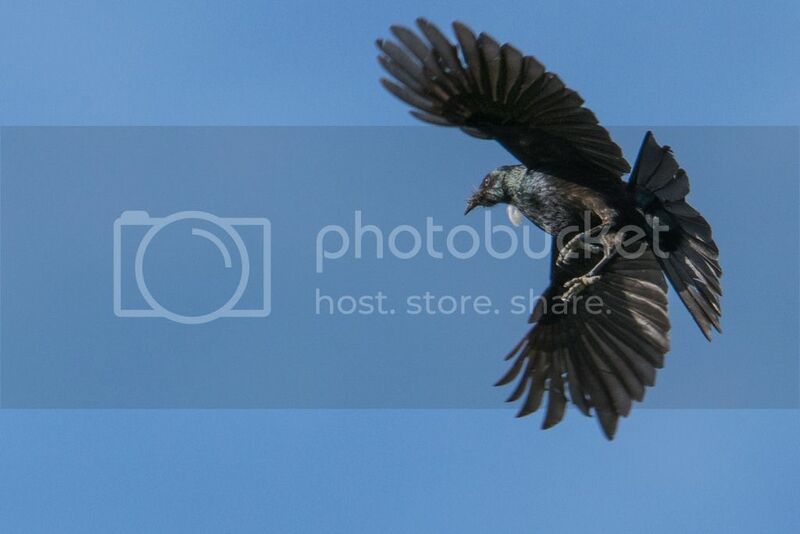 Share the your top 3 photos (you can post them in one post) you have taken of birds. I am sure it will be a tough choice for all you talented photographers. Dont forget to tell us why you love them so much too. 1. Is a goeorgous Wedgtail Eagle, which unfortunately broke a wing last summer. 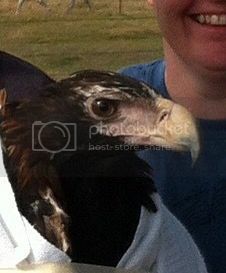 I was asked to capture the eagle and then transport it to Craig Webb at the Raptor Refuge Centre. Here Craig allowed me to observe and assist in it's assessment. 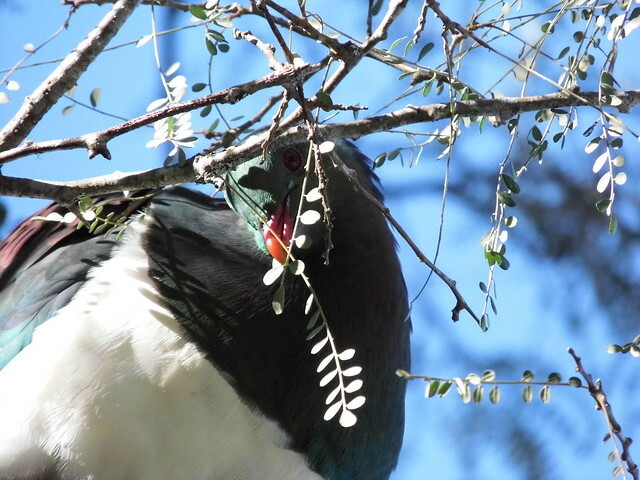 It is likely the bird will remain captive (hopefully not), but it has a long road to recovery. 2. 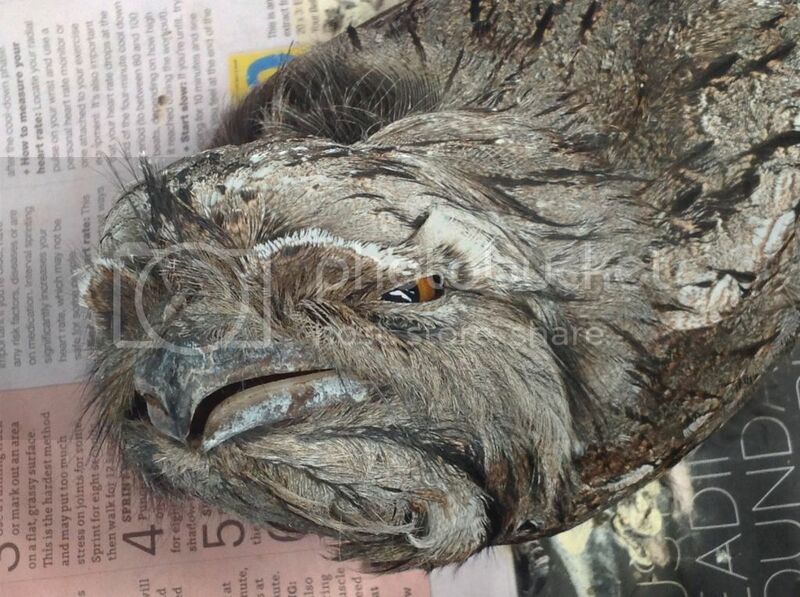 Is of a Tawny Frogmouth, again a rescued bird. 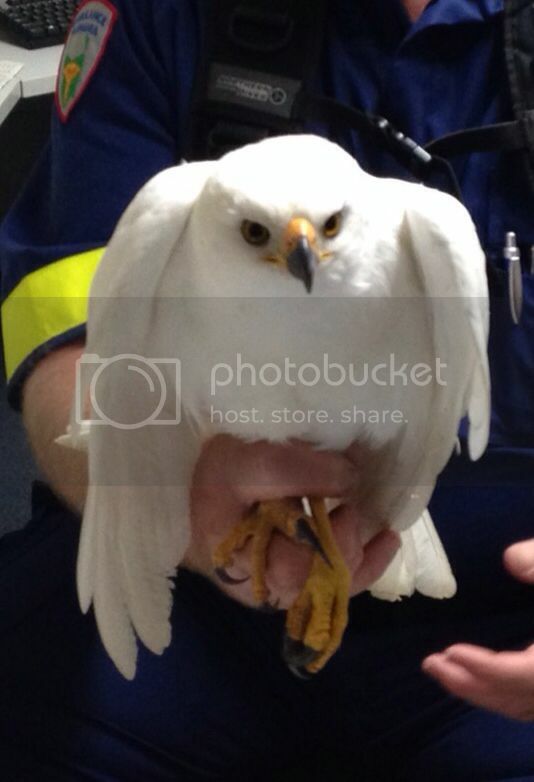 This 1 did not survive, it had a closed head injury and a broken wing and had to be euthanised. It did allow me to meet a "Tawny" expert and I was allowed to feed many birds, which are recovering prior to release. 3. This Grey Goshawk (white morph) is another rescued bird. This one had a positive outcome, has been rehabilitated, and will be eventually released back near where it was found. These are some of my favourite photos. Although they aren't the best quality they are very bright and colourful. Really difficult while travelling so I will go with current trip round Australia. First the Rainbow Bee-eater because it is incredibly beautiful and found in so many wonderful places such as Karumba. Secondly a first for me in this Little Curlew which was one of 3 on the oval at Wickham on the Pilbara coast 2 days ago. Thirdly a Wedge-tailed Eagle on the road to Heartbreak Hotel at Cape Cawford... representative of a desolate and wild place. Yeah some great photos. The good thing about your top photos is it's not necessarily about quality, they just have to mean something to the photographer. 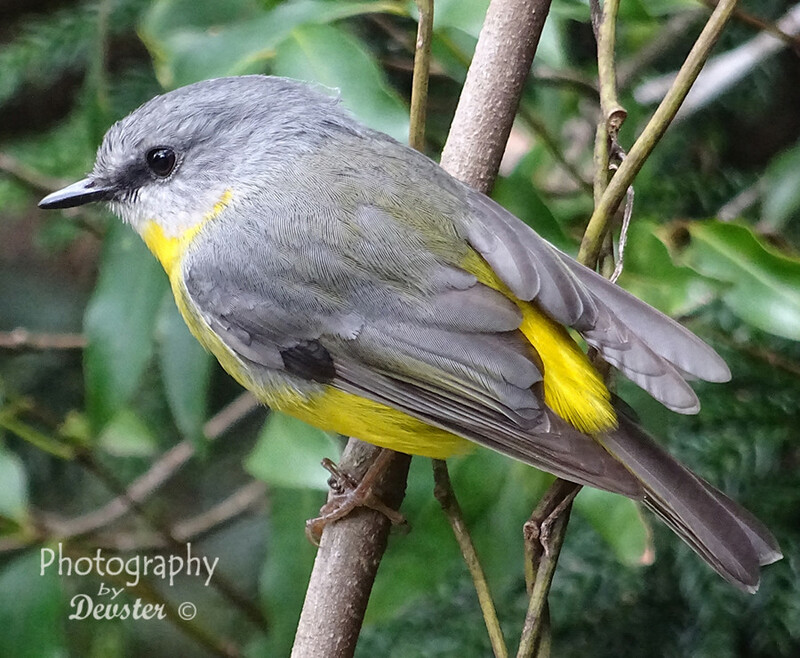 My first photo of the Eastern Yellow Robin is not a great photo but it's what really started me actively birding and doing photography. This next one is by far my favourite, I have shared it a few times so apologies. 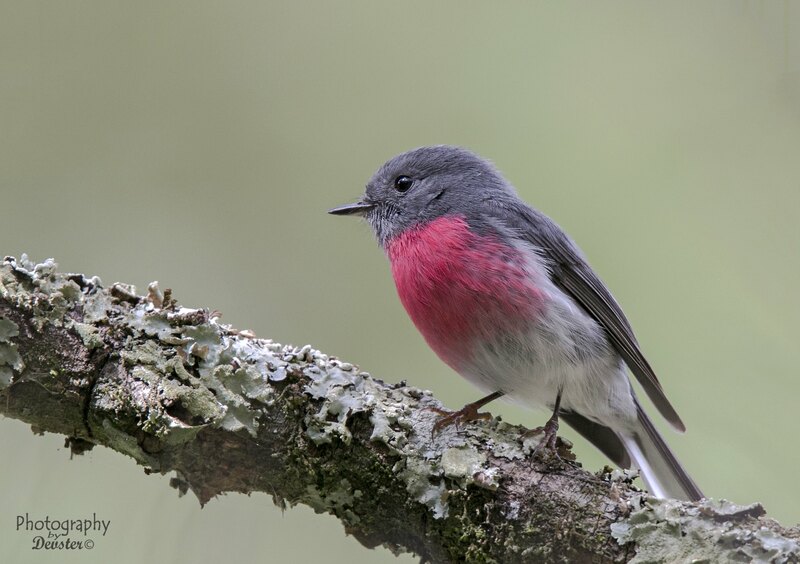 This last one was a hard one but is also one I took on my first photography course where I got the Rose Robin. 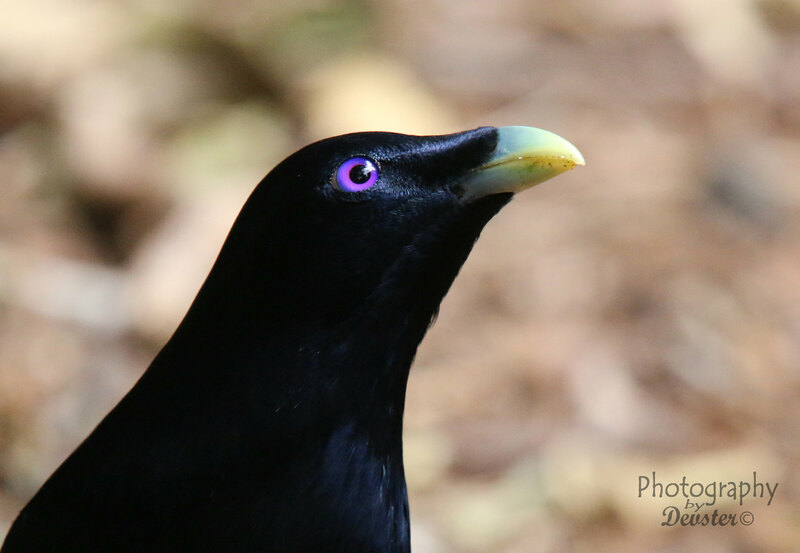 Its the male Satin Bowerbird. Not the best photo but I love the pose and the bright purple eye. 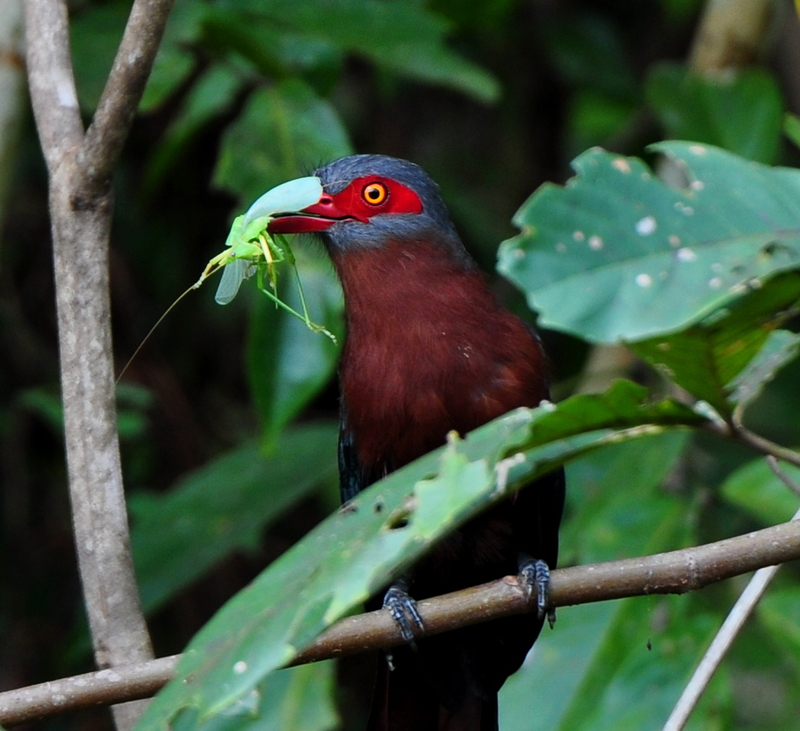 Chestnut-breasted Malkoha – taken on my brother-in-law’s farm in Borneo. Brings back memories of tropical nights filled with insect songs though this katydid was to sing no more. 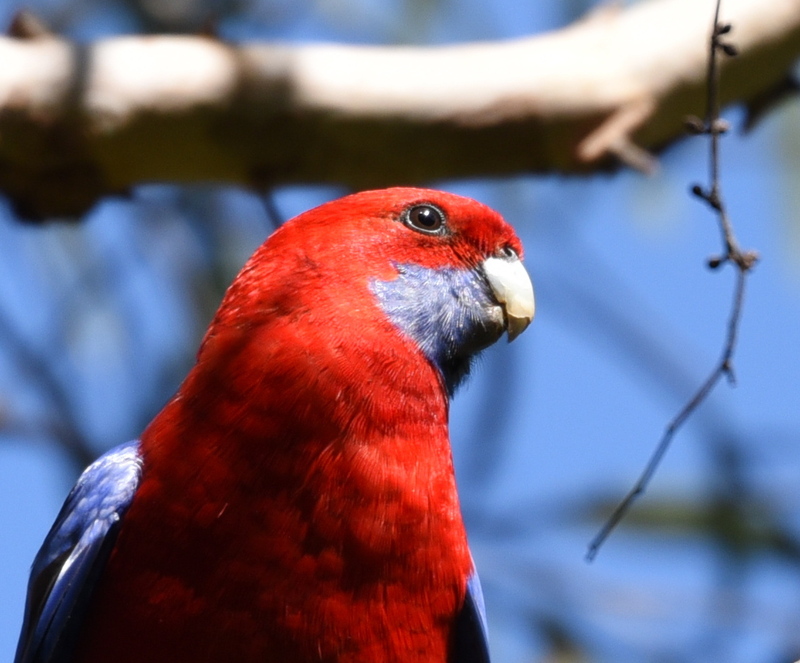 Crimson Rosella – love the bright red and blue colour combination. 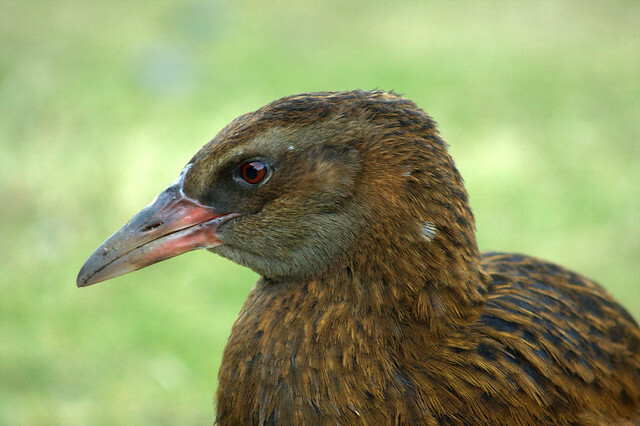 Bell Minor – this bird has the saddest and most endearing look of all. Hard one! I don't even know so I'll do some of my favs. 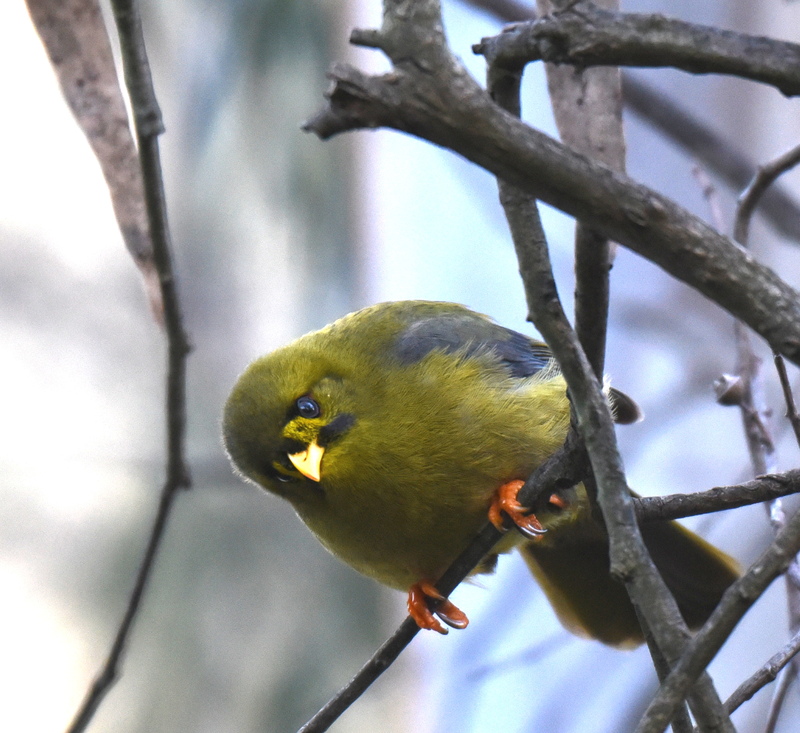 Hi Young Birder, nice shots! 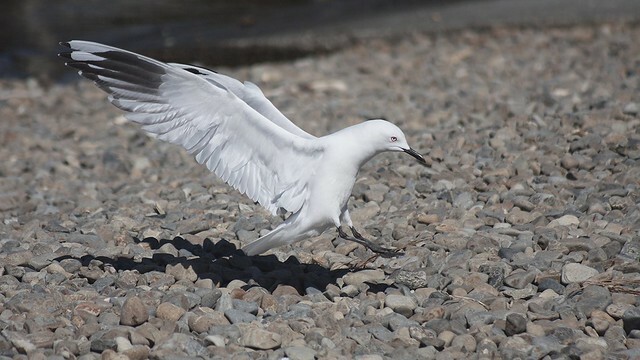 I never knew Black-billed Gulls were endangered, I saw lots of them when I went to South Island. What spots may i ask though that would be a change of subject? They flock in some places in hunreds after the breeding season. They are my favourite bird. Over here people are all way mistaking Silver Gull juvs for them. 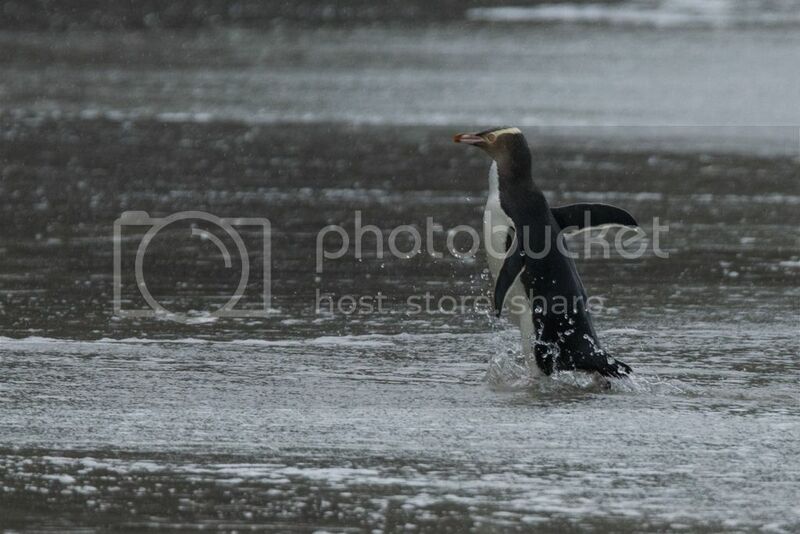 I saw them at lake Wanaka, not in their hundreds though. Thank you! 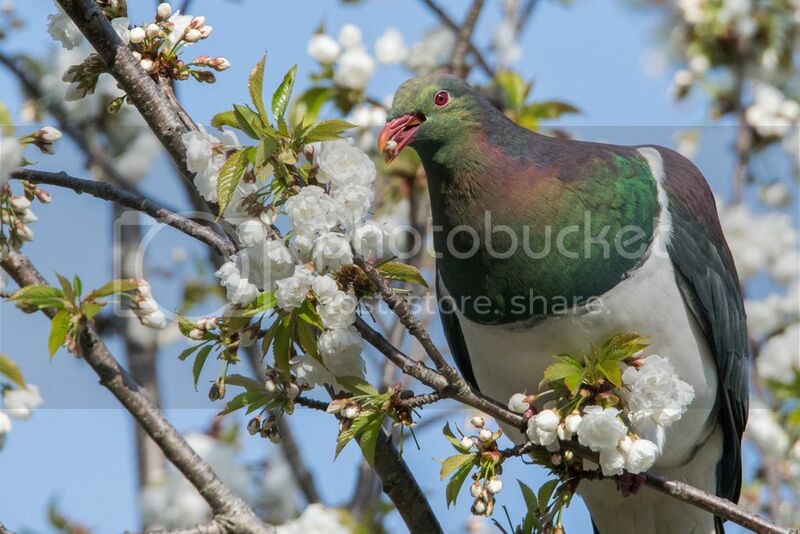 Great Kereru by the way!